While the two are close friends, they frequently find themselves coming in to conflict over medical issues. Dr. Lochner was an older, more experienced surgeon, who served as the chief of staff and was characterized by his deep compassion for human suffering. 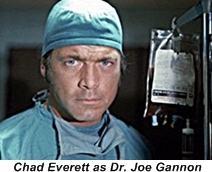 He tended to take the more conservative approach to medicine. 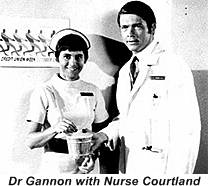 Dr. Gannon was the younger of the two with less experience and was known for trying more unorthodox treatment options. The cast of Medical Center was rounded out by Nurse Wilcox, who was portrayed efficiently by Audrey Totter. 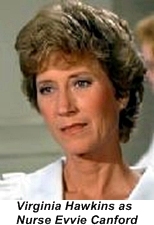 In the first few seasons a few different nurses assisted the doctors but by 1972 Nurse Wilcox had won both the producers and the fans hearts and was elevated to a co-star like status. The University setting helped with the episode’s plots as rotating between treating patients and teaching young doctors allowed for more variety. 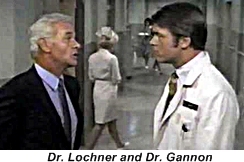 The show ran neck to neck with Marcus Welby M.D. 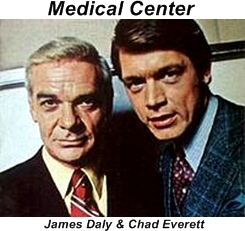 as far as ratings went but they both fell out of favor by the mid seventies when they both got canceled. They were also tied for being the longest running medical dramas ever until ER had it’s 15 season run. 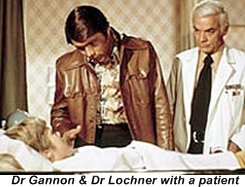 The pilot for the show was a movie titled “UMC” which starred Edward G. Robinson as Dr. Lee Forestman and Richard Bradford as Dr. Joe Gannon, interestingly James Daly played the character Dr Lochner and went on to portray the same character in the series. Audrey Totter / Nurse Wilcox also made the transition to the tv series.